I just love it when you find a LBD that is a no brainer! I found this dress at Target and it fit like a dream! I feel like the corset top gives it a little extra flair :) I also try to throw on this crazy vest whenever possible--beads, silk, tie-dye? YES PLEASE! LOL! I hope you guys had a fabulous weekend! Wow, Darby, absolutely stunning! I love following your blog and I can not wait to see what you wear next! Pretty look! Love your vest so much and great dress! So cute! I have a pink ruffly vest that's similar to this and I love to throw it on over a LBD! I wish I could get my hair to do that, it always looks flat when I attempt it! love your spirit! you look great. Your smile makes me smile!! You're just the cutest! I love that dress on you!! You're killing it! Love it and I bet it was a great deal at Target!! The vest looks great with it! I love this dress with the vest. You are seriously gorgeous and adorable! That is a fabulous little black dress! Love it girl:)! Darby, love this! great vest that adds the necessary Darby flare you always bring everyday! Love the heels too! Love the LBD wih the vest! And cute post title! ;) You look adorable! I love a good Target find! Love the vest with the lbd! Cute cute cute ! And love the vest. Adorable ! Love the vest ! I LOVE a good Target find! You look so cute! You wear dresses SO well! Love it, Darby! 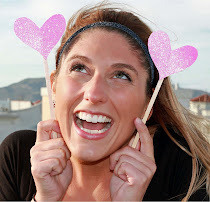 you have the most bubbly personality among bloggers that i have ever seen! Keep up the happiness beautiful! Awwwwww aint you the most adorable thing that ever happened to my Monday??? You will always make any LBD gorgeous with that sparkling personality Darby!! I love your dress, you look so pretty! Great collection of outfits on your blog. SO glad I came across it. You are one happy chappy! Always have the biggest smile on your face! that LBD is perfect on you!! you look amazing, that vest is awesome! Maybe we can follow each other? Let us know. This vest is the perfect touch to an already adorable LBD. Loving these pictures of you! This dress looks fab on you! I can't believe it's Target - even better! Love the LBD, especially with that vest - so cute! Thanks for the sweet comment on my blog Darby! Your blog is very cute and I am very happy we discovered each other. That vest is very unique, and but my favorite piece is your dress! So classic! You look amazing. Perfect pics and nice blog. What an amazing Target find and that dress is so sweet! Hehe! Love the expression in your last photo! Your whole body speaks excitement! Aaaaaaaaand ...... Jealous of your tan... I'm stuck in the midwest..... Love your outfit! you liked my weist but I adore your long legs dear.... LOL! Looking beautiful! I love the vest. LBD's are always best to wear when there is confusion, loved ur vest a lot ! Thanks so much for visiting & following my blog and for your sweet comment. Of course I will follow you back. I'm now following you back via GFC :) I look forward to keeping in touch. Love the layers to your LBD! SO cute!